Please note that the content of this book primarily consists of articles available from Wikipedia or other free sources online. 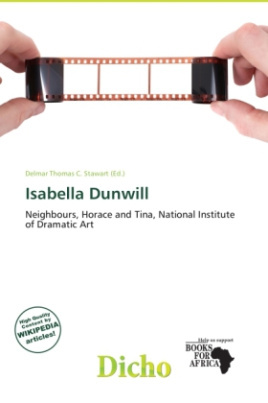 Isabella Dunwill is an Australian actress best known for her role in iconic Australian soap opera Neighbours. Initially signing on for a two-episode role as Geri Hallett, she would become a recurring cast member between 1998 and 2001. Before this role, which made her popular, she had small parts in various Australian television shows, including Frontline and "Horace and Tina". After leaving Neighbours, Isabella took roles in Australian television dramas Stingers and The Secret Life of Us. She has since gone on to study at the Australian National Institute of Dramatic Art (graduating in 2003) and has had roles both on stage and on screen, notably including "What the Butler Saw" directed by "Jim Sharman", for Belvoir St.Theatre Company B, feature film (WIL), independent short film ("A Black and White World") and television series Thank God You're Here.